Early dental visits also teach children about proper oral hygiene from a young age and foster good dental habits. At Sherwood Dental we see a ton of kids and all of our staff have a lot of experience working with children. We also offer Nitrous Oxide sedation which tends to help children relax well while the dentistry is being completed. Just as pediatricians specialize in health care for children, pediatric dentistry refers to children’s dental care. 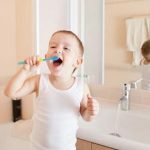 Kids who learn early that dental visits are neither painful nor unpleasant generally grow into adults who feel comfortable with regular dental upkeep. 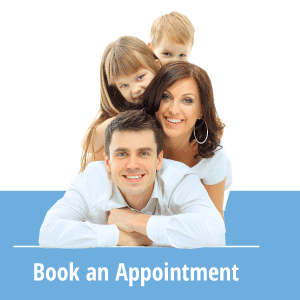 What Does Pediatric Dentistry Entail? Children’s teeth are markedly different from the set of teeth they will have as adults. The smaller, softer deciduous teeth, also called milk teeth or baby teeth, that erupt in the first few years of a child’s life have thread-like roots. These delicate roots facilitate their eventual loss when permanent teeth grow to replace them. However, shallow roots also make early tooth loss a concern. While a tooth that will soon be lost may not need replacement, a tooth lost to a sports injury or fall may need a crown or bridgework to maintain proper tooth spacing and bite health. Baby teeth can also get cavities, and like cavities in adult teeth, they can be painful. Cavities in baby teeth are frequently associated with corresponding decay in permanent teeth, so it is still important to keep a child’s mouth free of decay and to fill any cavities even if those teeth will eventually disappear. Children who visit the dentist at early ages are likelier to develop good brushing habits that can forestall future cavities. Our dentists also deal with issues unique to children’s teeth. Baby bottle tooth decay is fairly common and should be addressed early. Thumb-sucking and pacifiers can affect a child’s bite. Your child’s dentist can monitor growing teeth and ensure that permanent teeth are growing in well. If necessary, the dentist can also recommend an orthodontist who can correct crooked or gapped teeth soon after the permanent teeth appear. Brushing and flossing instructions, fluoride treatments and baby tooth removal are other tasks they may be carried out. How Do Children’s Teeth Develop? Children have smaller jaws and fewer teeth than they will have as adults. When they are young, kids have a maximum of 20 teeth. Tooth growth begins at the front with incisors, the flat teeth that comprise the most visible part of the smile, and continues toward the round molars toward the back of the jaw. The first permanent molars erupt behind the baby molars without displacing them at around 6 years old. Another full set of four molars comes in six years later, and at 18, the wisdom teeth erupt for the full adult complement of 32 teeth. Most dentists recommend bringing a child in for an initial visit at the age of three. We call this a happy visit. They are shown the tools we use, are taken for a chair ride, and the dentist gets to “count” their teeth. Like adults, children should see the dentist every six months. The schedule is especially important to maintain for kids whose teeth are in a state of flux as baby teeth disappear and adult teeth erupt. Regular visits also allow your dentist to assess how well the permanent teeth are growing in and recommend steps for a healthier bite. Take your child to the dentist sooner in the event of an injury, tooth pain or any other visible concern. Although their roots are smaller, baby teeth still have nerves and can be quite painful or sensitive if damaged.